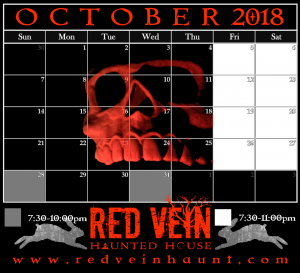 RED VEIN Haunted House returns in 2018! Delve further into the history of Emily Redvyn and her malevolent coven. Click to read more about the LEGEND. In 1868, a wealthy, but mysterious proprietor opened Redvyn Asylum, one of the first mental hospitals in Virginia. Built in Hanover County, it was situated close to the ruins of a reform school named Providence, which was founded by the late Emily Redvyn, who in 1795 was accused and executed for practicing witchcraft. Under the care of the physician Dr. Caine, only a select number of patients were admitted to the asylum and operations were extremely private. The asylum closed in 1871 as suddenly as it opened, leaving very few medical or historical records. Stories of the creepy doctor spread through the area and children would scare each other with nursery rhymes about Dr. Caine, aka Dr. Insane. 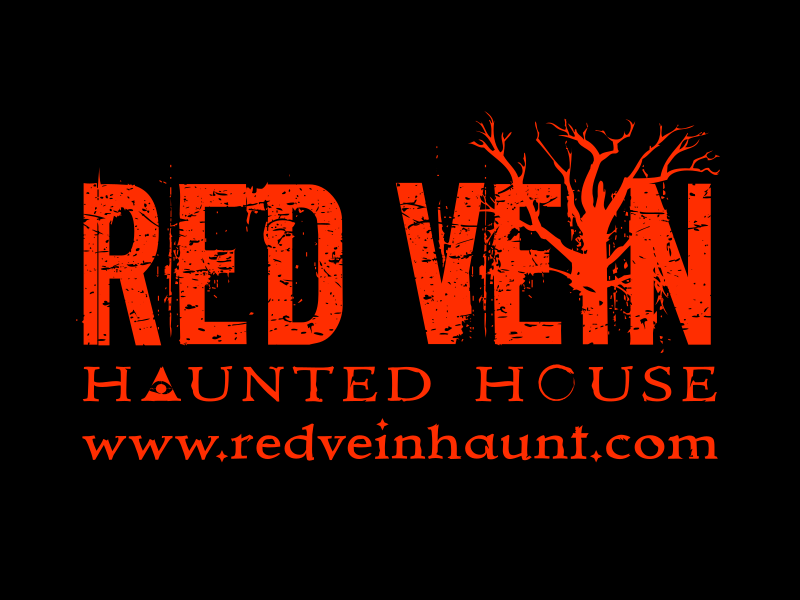 This year, visit RED VEIN’s brand new indoor haunted house… Redvyn Asylum! In the cornfield surrounding Providence, many spirits protect their sacred land and its family’s secrets. Entities from long ago and creatures from the depths of hell now roam the grounds. Rabbit’s Cry Field is an outdoor corn maze filled with terrifying monsters and gory sets. New for 2018… visit the Bunny Man’s house and a trip through the forest behind the Butcher Brother’s Smokehouse. A small facility named Providence Home For Wayward Children was founded by Emily Redvyn in Hanover County in 1781. Providence was known to accept children who were abandoned, those with mental and physical handicaps, addictions, or just needing guidance. 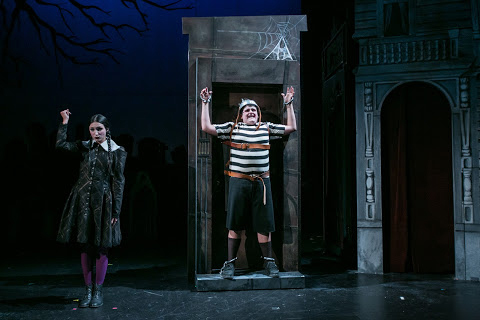 A century after Emily’s execution, Providence reopened in the 1930’s under new ownership. 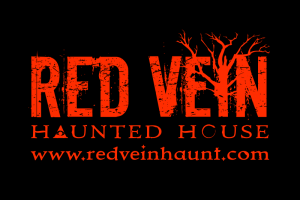 Step inside RED VEIN’s main indoor haunted house attraction, which includes over 35 highly detailed scenes, incredible scares, special effects, and screams around every corner. New for 2018… updated sets, more animatronics, characters, and an expanded basement where you’ll finally meet Emily in her true form! 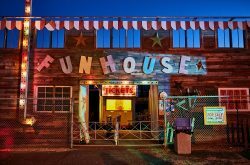 Great haunt that avoids a lot of the cliches found in most haunts and has a great story! This is the haunt to visit. The actors make the scenes believable. Red Vein has worked hard to give the “lambs” good value for the money. Worth the wait! 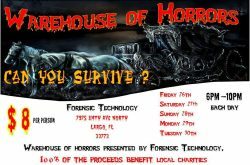 Different from other haunted houses in the area! This is our favorite haunt around. We love all the characters and the back story is sooo good.